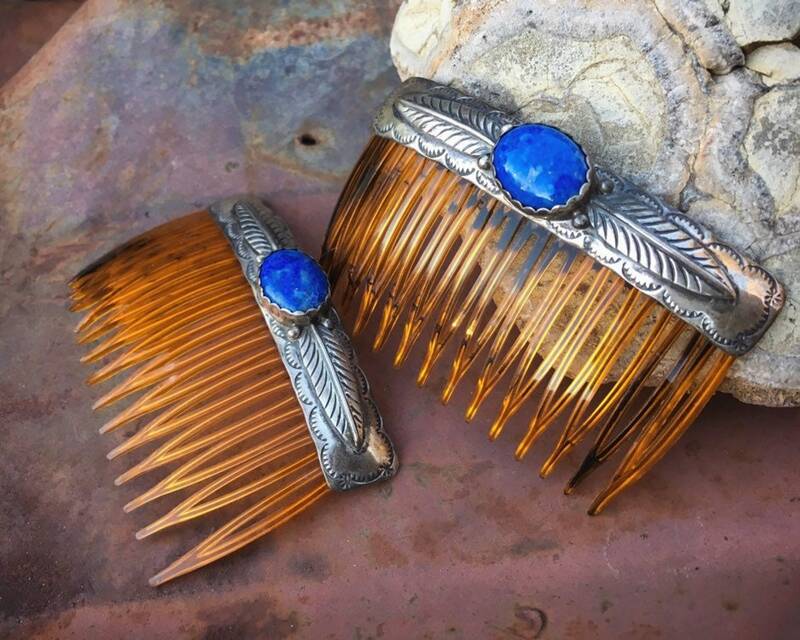 These two vintage hair combs feature stunning denim lapis set in stamped sterling silver foundation. 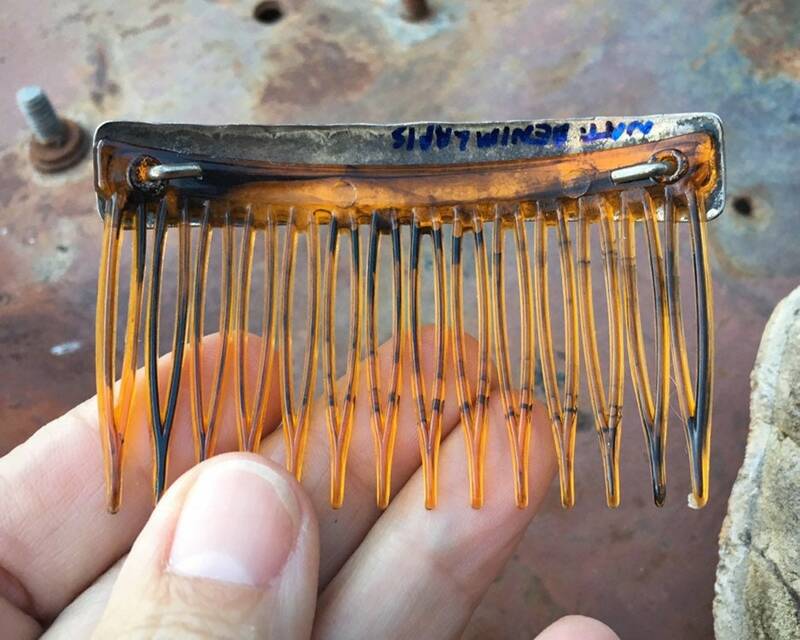 The combs are sturdy tortoise shell colored plastic. 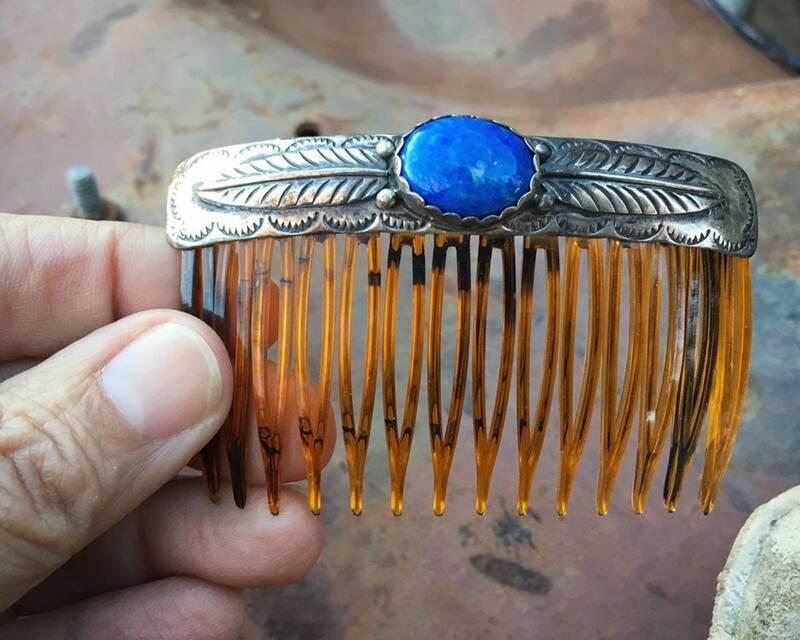 What an amazing and uncommon gift for the woman with hair long enough to pull back with combs. Not to mention, lapis is considered a magical and healing stone, associated with awareness and calm. 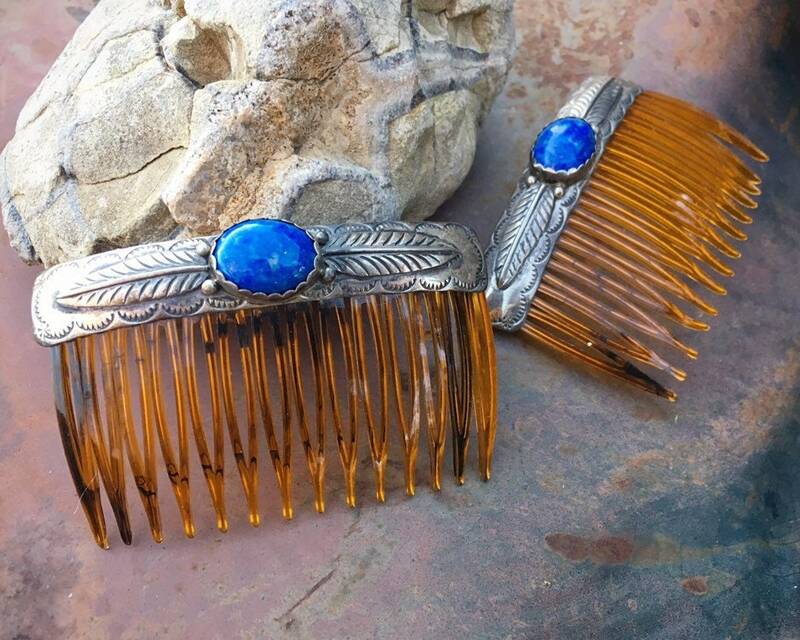 Lapis is also one of Sagittarius' birthstones, and blue is a color associated with colon cancer. Measures just under 3" wide by 2-1/4" tall. One of the pieces has the words "NAT. DENIM LAPIS" written in marker, meaning "natural denim lapis." 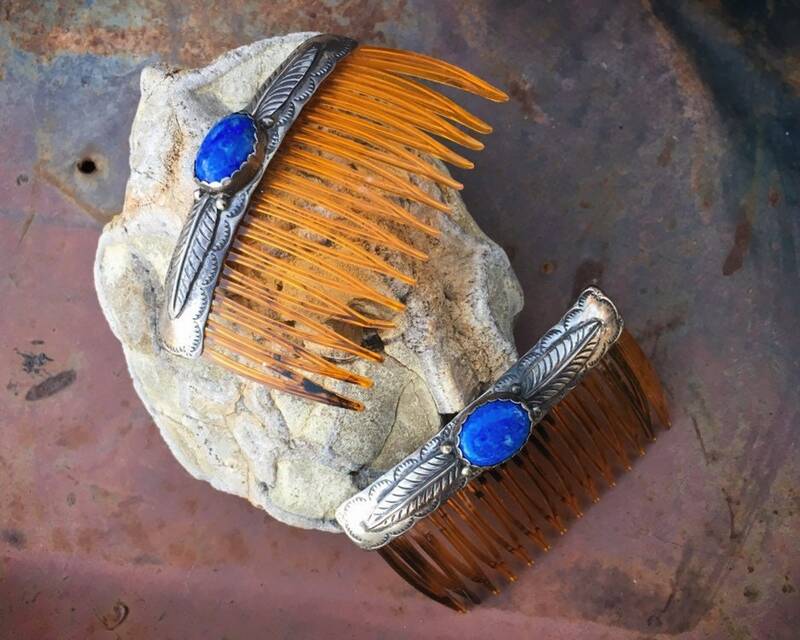 Silver has a lovely patina, and can lightly polish the pieces while leaving that rich tone. 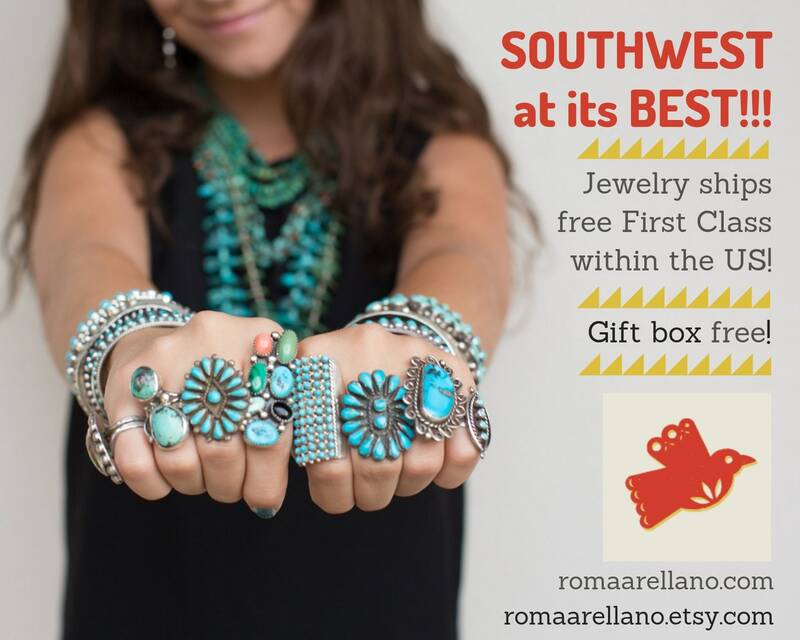 A truly versatile and one-of-a-kind gift.